When a group of diners sit down at the table after having enjoyed a range of pre-dinner drinks – a martini here and a glass of chablis or a pilsner there – the answer to the question about what to drink with the meal is, usually, wine. …and there’s nothing wrong with that, but there are some reasons why that’s the case. The main factor that led to the pre-eminence of wine at the table is the influence of the French. Much of Western gastronomy derives from France’s wonderful and sublime food traditions, and the obvious pairing for a meal in a wine-producing country is clearly wine, especially if that country produces wines as spectacular as the French do. It’s not an accident, nor is it a design. It’s simply a matter of reason and good sense. Wine was the best thing for the French to drink with their food, and so that tradition and custom has stuck as France’s gastronomic know-how crept around the Western world. It’s as simple as that, but there was a casualty. Beaumont has a point, and there is a sense of happenstance at play here that led to the promotion of the grape to the table and the relegation of the hop to more of a social position rather than a refined and genteel one. Claiming that wine is better with food than beer is, of course, complete rubbish, especially of late, with the explosion of craft breweries producing interesting, complex and dynamic beers. There’s never been a better time to love beer. 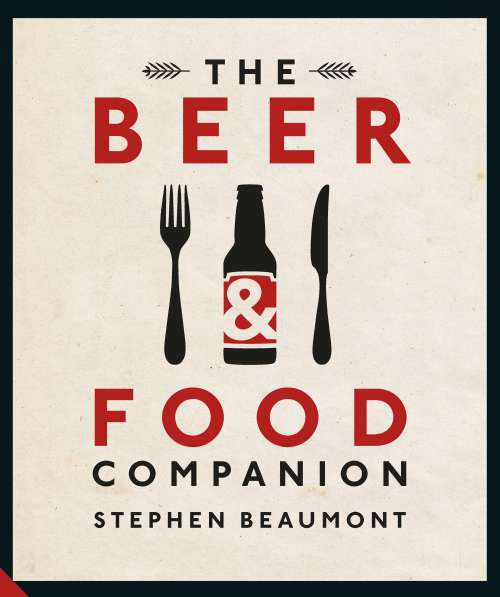 The Beer and Food Companion is an attempt – and a very good one indeed – to redress the balance and to look at beer as a serious accompaniment to food of all types. It takes a very matter of fact approach to its subject, kicking off with a couple of chapters that get to the real roots of the subject, describing the major world beer styles and providing a few good examples of each, before diving into the real meat and potatoes of the book – the tricky subject of actually pairing beer and food together. This is fascinating stuff, and it’s a process that’s described with care and passion. The book is punctuated with short pieces on some of the sung and unsung heroes of the brewing world, people who’ve done Good Things in the service of sparking such a tidal wave of interest in beer. These little essays are great accompaniments, and they serve as the practical counterpoint to the theory – pages about the people who’ve been there and done something with this absurd and crazy idea of drinking beer with proper food. Imagine that! The book rounds out with a chunky section of recipes, a chance to take some of that great information and do something good with it. Each recipe uses beers of various types as key constituents, and yes, there are a lot of meat-based recipes in there. I’d argue that’s quite understandable. I mean, honestly, pork belly braised slowly in a British bitter, then finished with a fiery cajun spice blend? The The Beer and Food Companion is a handsome book. It’s got soul and passion, and it deals with an important subject (yes, beer is important). It’s a superb reference packed with top-notch information, as useful as a cookbook as it is as a general purpose guide to the rich tapestry of the world’s beers.